Okay well after church yesterday, I thought I would take my chihuahua “Ms. Precious” for a long walk. So at my apartment complex we have a small pond that I have actually never taken the time to truly enjoy the beauty of it’s existence. 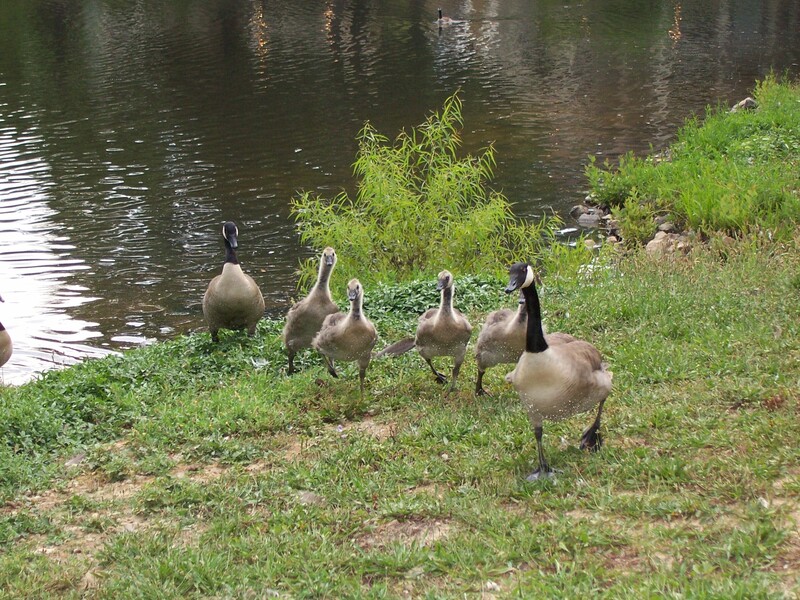 So as I am snapping random pictures of the geese, flowers, and water with my digital camera, I realize the geese are moving at a rather fast trot towards me and my normally “vicious” barking chihuahua. However, apparently Ms. Precious figured this was a battle that she did not want any part of on her peaceful Sunday afternoon. (Bad time for her to decide that she did not know how to bark, although she barks at little bugs that fly around her head; thanks Ms. Precious!!) Literally seconds after I snapped this picture, these geese started hissing and snapping their beaks at us. They chased us back up to the sidewalk, and I have never seen geese run so fast! Or perhaps Ms. Precious and I were just running too slow. So this little incident started me thinking about how we as Christians should always be conditioned, ready, and prepared before the enemy tries to attack us. How do we prepare for an attack? First, it is vital to fill ourselves with God’s Word DAILY!!!!! Prepare yourself in advance, so you can discern in the spirit any scheme or tactic which the enemy is using to come against you. The second key is to pray continually, all day everyday. Pray while you are at work, in your car, cooking in the kitchen, before going into a meeting, while showering, as you are walking to your car, when you are chatting on the phone, when putting on make-up, as you are getting your nails done, or when God wakes you up —- YOU CAN AND SHOULD PRAY ANYTIME!!!!! By simply taking the time to get in God’s Word and pray without ceasing, we prepare ourselves for any attack or scheme that the enemy may devise and use to distract us from pursuing God’s divine destiny for our lives. Abundant Blessings to all my brothers and sisters in Christ! Walk out your divine destiny!